A group of professionals from different fields and nationalities: Alistair, Carlos, David, Gregor, Jordi, Marc, Miki, Oriol, Pau, Pilar, gathered together in Barcelona to create this social network designed to share (teach / learn) knowledge by using videos and webcams. 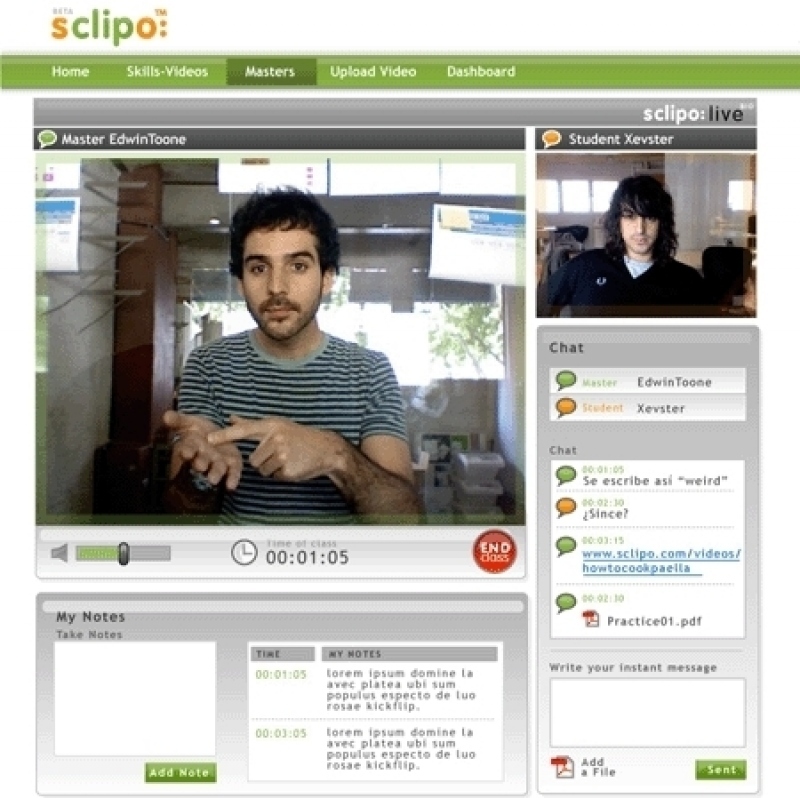 Sclipo gives you the opportunity to upload as much videos as you want (tutorials, lectures, how-to, etc.) and share them through their "academies" with friends, family and people around the world. It also has an application that allows live individual classes using a web-cam, and charge for them. A YouTube with a useful background that allows you to show the world your personal skills and teach them to whom wants to learn. Plataforma de educación online que quiere convertirse en el mejor servicio para que puedan trabajar juntos profesores y alumnos a nivel mundial, primando por encima de todo el servicio que ofrecen a sus usuarios.